Two online retail sales forces are colliding this week… Jet.com a potential Amazon rival went live and Amazon is announcing earnings. 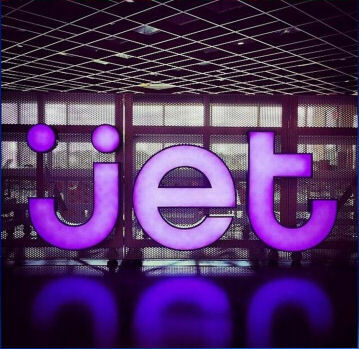 Jet.com has a great story ( link here)… The former online retail guru who sold his suite of companies including Diapers.com and Soap.com to Amazon for $545 Million is now back in the online retailing game and gunning for Amazon.com’s customers. His non-compete agreement must have just expired but is this really the best use of his time and his investors’ money? Why try to go up against Amazon when this online retail leader can’t even seem to make money in this online retail business? That’s the other thing that hit this week. 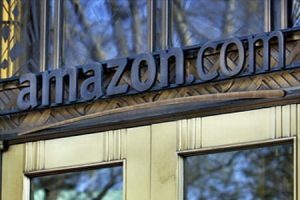 Amazons earnings report! 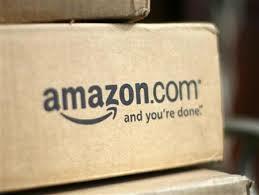 Amazingly Amazon reported a profit of $92 Million on revenue of $23.19 Billion for the quarter ended June 30. This is the first profit in a while and compares to a $126 Million loss on $19.34 Billion in revenue a year earlier. When you do the math Amazon makes less than 0.4 cents on every dollar it takes in. That’s less than half a cent. Not so good. Lots of activity not a lot of profit. So if Amazon is having a difficult time creating profits out of our intense need for stuff delivered right to our door within two days, then why does Jet.com think they can make any money at this? Their marketing pitch is full of stuff to hopefully make us believe they can serve up goods a prices lower than anybody else on the internet. “Club price savings on pretty much anything you buy.” A quick search of the stuff I buy on Amazon shows Jet’s prices are exactly the same but I pay a shipping fee on Jet. Since I am a Prime Member I pay no shipping fee when I order from Amazon. The same price for the goods but I pay extra for shipping…. What was Jet thinking? I’m sure Jet offers some items at a lower price than Amazon but unfortunately nothing I buy. If you test Jet with your items and come up with a significant savings let me know. Amazon reliably ships me what I order on time or earlier. Amazon has a simple return system so with a few clicks I can return stuff when I need to. Amazon has my order information so ordering is just a few simple clicks. Amazon prices are usually the lowest you will find. Amazon provides me all kinds of free stuff like movies and electronic books with my Prime membership. Amazon pays me a $1 per order credit if I elect to get my stuff in less than two days. If I ever need help I can always get someone from Amazon on the phone. When I am in a bricks and mortar store and I see something I want I can use my phone to scan the barcode and find out what Amazon charges then order the product. Amazon has been doing this for over 20 years. Sorry… I couldn’t ide ntify any “pain points”. So where is the opportunity for Jet.com? I just don’t see any reason Jet.com to exist. And even if they are successful at poaching Amazon customers with their lower price pitch those buyers will be the more price sensitive customers that were actually costing Amazon money. Ultimately Jet.com will be helping Amazon make more profits. They should expect a nice Thank You note from Jeff Bezos. To sum things up… Jet.com has entered a low margin (probably a losing) business category with a single strong entrenched competitor who appears to be doing everything right to keep customers happy. It’s not like Amazon is leaving us out in the rain to compete with a ninety-year-old lady for a lone yellow taxi. 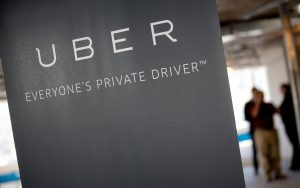 This leading ride sharing business who appeared to come out of nowhere and rocket to a reported $50 Billion valuation entered a fragmented market with no clear leader where it took many steps to hail an inconsistent ride. And before Uber when your ride showed up you probably paid more to get to your destination in a smelly vehicle with a gruff distracted driver. Then there is Uber’s App where you can see those little cars circling. With a few clicks you see your ride on its way. At the end of the ride no money changes hands. It’s all automatic. No scrambling for cash, waiting for a receipt, or agonizing over how much to tip. When you are looking for a company concept for a startup or to invest in think about Jet.com and Uber. Identify the pain points and be sure people care enough about those pain points to use your product/service and pay enough for it so you can make a reasonable profit. Is it ok if i publish this on our page? Did you use this article?